A long time ago, I wrote about how much Persona 4 Golden changed my life. Even now, it's still one of the most significant JRPGs I've ever played and I can safely say if I hadn't played it when I did, I don't know if I'd be making JRPG content at all. But before Persona 4 Golden, there was another JRPG that struck a chord in me that made me realise video games were much more than just finding gems and beating up bad guys. 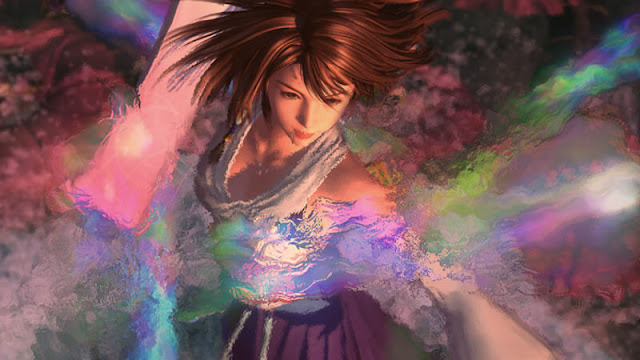 That game was Final Fantasy X. I've probably mentioned on here before many reasons why Final Fantasy X is so important to me, but I don't think I've dedicated an entire post to it. 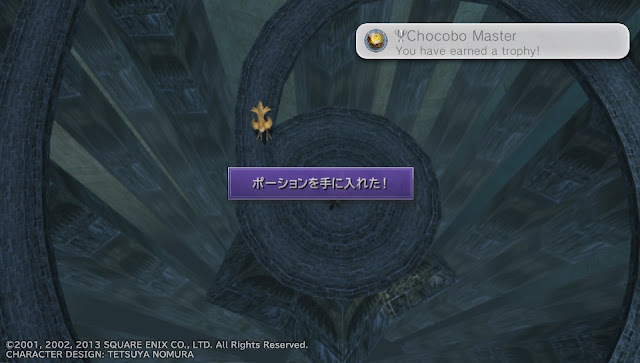 My journey with Final Fantasy X is significant enough to get its own post, as my first story-driven JRPG, my first video game addiction and the first one that moved me. I discovered Final Fantasy X when I was around my early teens at a friend’s house. A slightly older friend was playing it and it was one of the prettiest games I'd ever seen. As someone who had mostly played kids games like Spyro and Crash Bandicoot, the world of super detailed graphics and tons of voice-acted cutscenes was pretty much new to me. 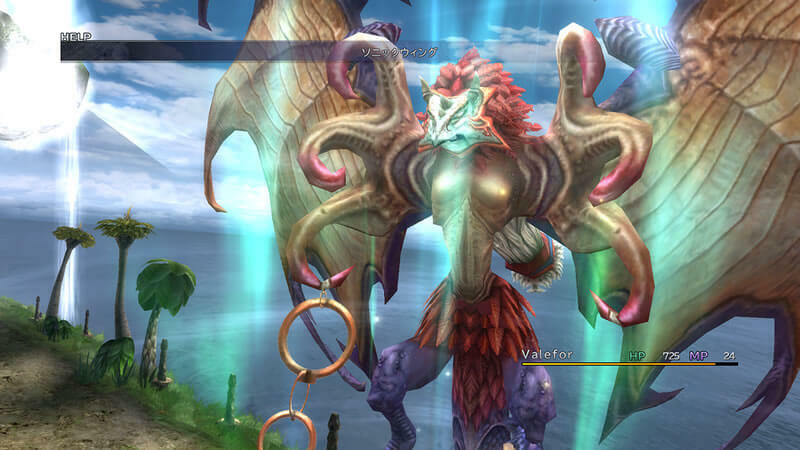 Partnered with the big summons and overdrives making it visually stunning at the time, Final Fantasy X was probably the closest I'll ever get to love at first sight. I had to convince my parents (who would've preferred me to play a game that wasn't M15+ in Australia) to get it for me and thankfully thanks to the lack of blood and gore, I was allowed to play it and only got in trouble when Yunalesca showed up on screen (and I'll never like her because of that). Whether it was the graphics, the deep story or the turn-based mechanics, I instantly adored Final Fantasy X. In fact since I was so young and impressionable at the time, I'm probably not exaggerating when I say I loved everything about it. It was different to everything I'd experienced in video games. I was connected to the characters on a whole new level, with Tidus’ outbursts catering well to the angsty teen in me and the story covering romance, life, death and friendship was what I never knew I wanted from a game. It was like a movie, except it felt like I had some control over where it went. Most of all, the characters taught me some weirdly good life lessons, such as laughing when things are hard or not just accepting bad situations. I didn't know at the time, but I'm pretty sure these things subconsciously influenced some of my high school and ultimately life decisions as there are things and values in Final Fantasy X that are still important to me now. Final Fantasy X also was the perfect thing to set my developing completionist tendencies on fire. I'd already completed all the Spyro games to completion, but I found doing quests and finding extras in Final Fantasy X much more rewarding since completing things had the potential to reveal more cutscenes and more story. I still haven't completed Final Fantasy X 100% to this day, but the amount of things to complete and do in Final Fantasy X will probably always impress me and I know I've spent hundreds of hours trying to do them all. Other than helping me become the completionist I am now, it was my first story-driven JRPG. If it wasn’t for Final Fantasy X, I wonder when, or even if, I would love the Final Fantasy series, which is almost strange to think about with my current Final Fantasy XV addiction. And without my love of turn-based JRPGs, would I have even been interested in Persona 4 Golden or even knew that it existed? JRPGs are such a big part of me now, so I'll always be grateful for Final Fantasy X starting my love for them. 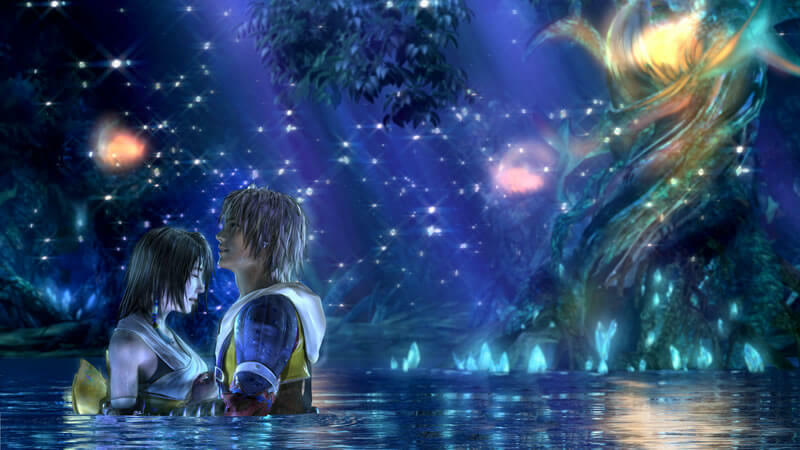 Final Fantasy X was a standout game for its time and will always be a standout game to me. Falling in love with its world and characters are some of my fondest gaming memories and my love of it drove me to my love of Final Fantasy, which led me well down the path into JRPGs being one of my favourite things ever. It put me on the path to being a JRPG fan and for that, I'm forever grateful and can safely say that Final Fantasy X definitely changed my life. You can pick up Final Fantasy X/X-2 HD at Play-Asia.com! What JRPGs have changed your life? Which Final Fantasy game was most significant to you? X was also one of the games that changed my life and defined my taste in the genre. I realize that a lot of themes or situations I've faced later on my own personal journey can be mirrored, linked or compared to this game.